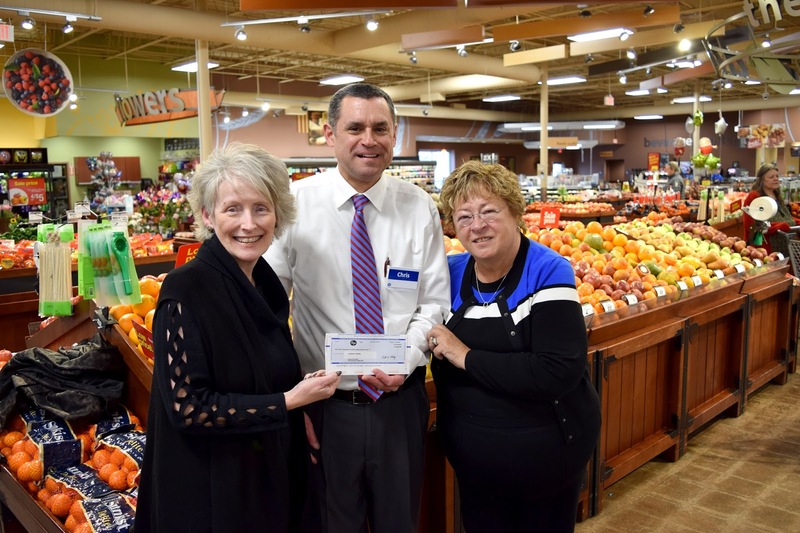 Kroger presented checks for proceeds of its 2017 “Fight Cancer Day” campaign in February 2018. The announcement was made prior to the official ribbon cutting and re-opening of the recently remodeled Kroger store in New Haven, Indiana. 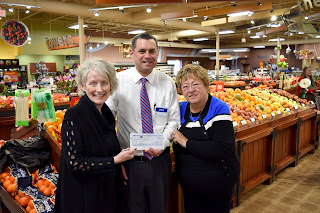 Kroger representative and longtime “FRIEND” Chris Gomez (pictured center) presented the official check to Francine’s Friends Donna Emley (pictured left) and Sharon Simmons (pictured right) in February. The 2017 campaign raised $76,359 to fight cancer and support cancer patients in northeast Indiana. Kroger customers were invited to contribute to three cancer organizations — the American Cancer Society, Cancer Services of Northeast Indiana and Francine’s Friends — during the October 2017 month-long campaign. The campaign involved 15 local Kroger stores and honored local “superheroes” for being a survivor or dedicated to the fight against cancer. The Kroger Central Division and local representatives officially kicked off the 39th annual Fight Cancer Day initiative at the Kroger Marketplace on Dupont Road in October 2017. “Fight Cancer Day" was started by Scott’s Foods in 1979 and the fund-raising event continued following the purchase of Scott’s from SuperValu by Kroger in 2007. Thank you KROGER! So lot to occur over your amazing blog. Your blog procures me a fantastic transaction of enjoyable.. Salubrious lot beside the scene his response.